GetDivorcePapers.com provides professionally completed, 100% court-approval, money-back guaranteed Hawaii divorce forms. Just create an account, complete the interview, and file for divorce. Our case managers do all the work for you, and send the completed Hawaii divorce forms when they are ready to be filed. 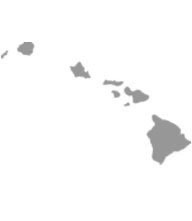 To file a divorce case in Hawaii, filer is required to be the resident of this state for at least three months. In addition to this, he or she has to be the resident here for six months before the declaration of the final divorce. Separation for a time period of more than 24 months. Permanent illness found in any of the spouse. One point is important that is both the spouses are required to be agreed on the stated reasons in the case. Age and decision making ability of the child. The preference of the child to stay with either of two spouses. Mental and physical growth of the child. Geographic location of each parent and community of the child. Adaptability in the child to get settled in a new environment. Essential expenses required for the optimum nourishment of the child. Safety and security issues of the child. Domestic violence and atmosphere of the place child has been residing in. Hawaii provides both the spouses with the equal assets that they held. This division is done on equitable state basis. In this regard, divorce grounds are not taken into account. Nevertheless, debt obligations or any other liability can be settled between the two parties. State of Hawaii may award the alimony to either of the spouse depending upon his or her need for it. To determine the amount for this support, living standards of the couple during the marriage, and dependency of the one onto the other is assessed. Employment chances and skills of the beneficiary also help in determining the amount of the support. In order to provide the effected child with the minimum loss, State of Hawaii declares the child support. It has to be paid either by one of the parties or by both of them. Basic needs of the child and his or her dependence on parents determine the amount of the support. Medical and educational expenses as well as social needs also lead to the estimation of the child support. Hawaii allows the facility of the mediation in divorce cases to for the welfare of whole family. There is no need of a lawyer when applying for divorce in the state of Hawaii. A divorce case which is filed without any help of an attorney in any of the states is known as Pro Se Divorce. Literally, Pro Se is a Latin phrase and it means "on her or his own". Process of getting the divorce without the help of lawyer may vary from one State to another. These types of divorces are perfectly legal and enforceable in Hawaii, and are actually very convenient. Usually, once settlements have been made regarding property distribution and custody matters among the spouses in case of a mutual divorce, Pro Se Divorces are filed.